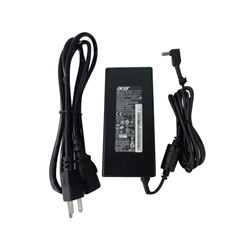 Description: New genuine Acer laptop ac adapter charger with power cord, 135 watts. This adapter has a purple tip. Compatible Part #'s: KP.13501.005, ADP-135KB T, KP.13501.007, KP.13503.006, KP.13503.007.